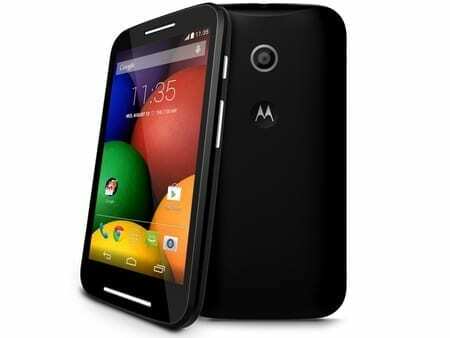 Motorola has one again come up with something that is sure to help grow its market share even further in 2014, after the huge success of the Moto G last year propelled the firm to a 6% share of the UK market . 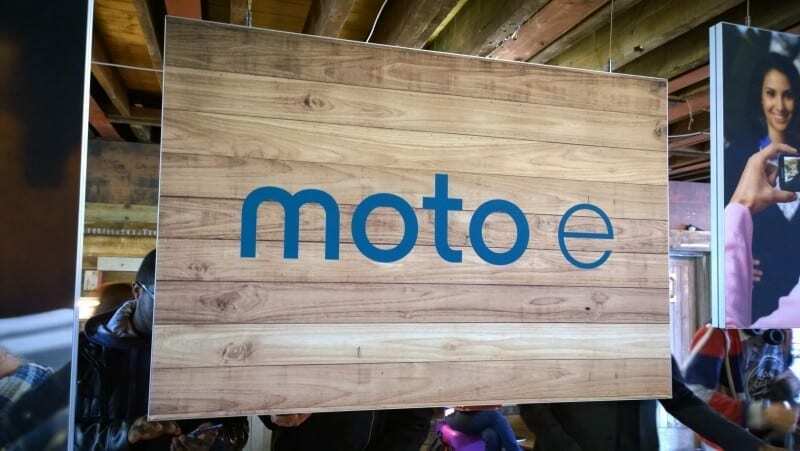 The announcement of the Moto E yesterday was no surprise, as it had already been widely leaked right down to the hi-res photos and detailed specifications. But so what? Nothing could take away from Motorola the fact that it has once again come up with a bargain offering that doesn’t mean having to make harsh compromises. The Moto E doesn’t have as high a performance as a Nexus 5, HTC One M8, Xperia Z2, or Samsung Galaxy S5, or even the Moto G itself, but it still benchmarked fairly well when I got my hands on one today. With its AnTuTu X score of 12,569 it isn’t going to win awards (by comparison, the Moto G scores 16,147 and some of the latest flagships score 33-35,000), but it is going to let users play games with a perfectly acceptable level of performance, while enjoying decent battery life and no lags when using the essentially unmodified Android KitKat OS. 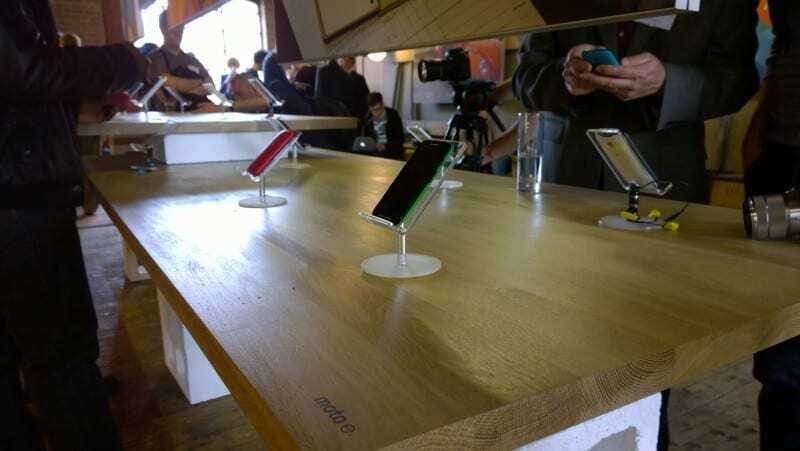 All of this is thanks to Qualcomm’s dual-core Snapdragon 200 SoC, clocked at 1.2GHz. The OS is where the other bit of good news comes in. Despite having a history of poor support, which changed with the introduction of the Moto G, it was feared that it might be a one-off, and with the purchase by Lenovo, it could end up a blip on the radar. But, Motorola also used its launch event to preach that it intends to update the Moto E in just the same way, pointing out that the Moto G got KitKat in just 19 days, compared to significantly longer for rivals like LG, HTC, and Samsung. In fact, Motorola even made a claim to be able to beat Google on updating some of its Nexus devices in all markets, although we’ll have to wait and see if that record can be beaten when Google inevitably announces the next OS update at its developer conference next month. In any case, the promise of near instant OS updates, plus a retail price of £89 makes the Moto E an incredibly enticing offering. O2 has already said it will sell it for just £80 on prepay, assuming you buy a top-up at the same time, which makes it an even bigger bargain straight away. Leading light of the scene. Know what I mean? With its 4.3-inch 540×960 pixel display (256 pixels-per-inch), and a 5-megapixel camera (sadly without a flash), plus changeable rear covers, there’s just about everything you could want. Plus, the Moto E also has the latest Corning Gorilla Glass to protect the screen from damage, and a water-resistant nano coating to protect the innards from (limited) water ingress. 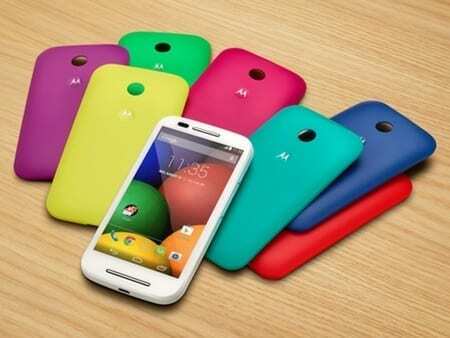 Finally, it might be easy to forget – but Motorola also updated the Moto G today too. The Moto G 4G not only gets 4G LTE support, but now comes with a memory card slot, addressing the only real criticism on my favourite handset of 2013 (in terms of value). At £149, and on sale in the coming weeks, the Moto G 4G is bound to be pushed hard by all of the operators keen to push 4G, so I have a sneaky suspicion that 2014 is going to be a rather good year for Motorola.